The Peppercorner was close and convenient when it was time to catch up with a friend in Long Beach, CA. The Yelp reviews were solid enough, and everything else in the area was a chain. Metered parking was easy enough to find. I ordered a $7.50 Peppercorner Burger...cheese was 50 cents extra. The wait was about 10 minutes. The Beef: The burger at The Peppercorner was generous. The server suggested that it was 11 ounces, but I think it was closer to 8, and that was plenty. The patty was 100% Certified Angus Chuck from an unknown distributor. The fat content was right at 20%. The burger patty was beefy enough, but it was a little on the dry side from over-cooking. There was no iron or funk to properly complicate the flavors. All told, the beef in the thick patty was a hair better than average. 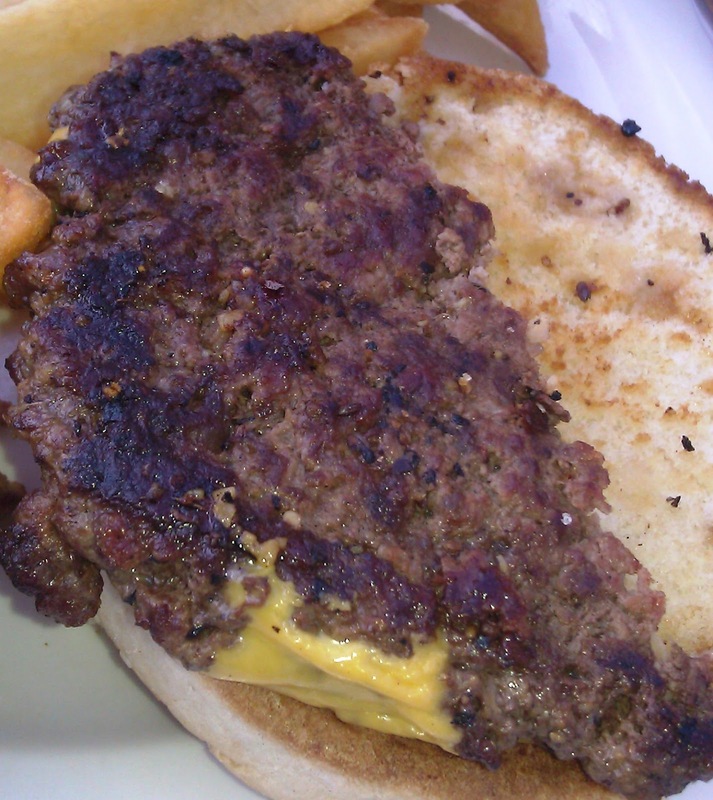 The Seasoning: The burger at The Peppercorner got the right amount of salt and pepper to maximize the beef flavor. The Sear: The sear on my cheeseburger was just fine. The sear was deep enough to positively impact the texture to impart a little crispness to the beef. This sear worked nicely with the salt and pepper to delivery a bacony note to the bite. The Preparation: I ordered my burger Medium to Med-Well, but I received a Well-Done burger. While this did ensure that the burger was as beefy as possible, it did result in a slightly dry burger. The medium ground Chuck arrived in a pre-ground state, and it was hand-formed into patties by the prep crew. 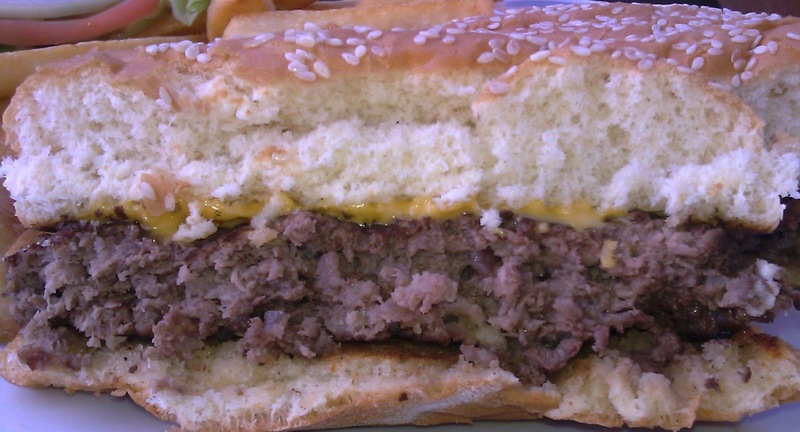 The patties were not rubbery, and this meant that the burger meat was not over-manipulated. The Cheese: There were multiple cheese choices at The Peppercorner. I chose the reliable standby, American cheese. 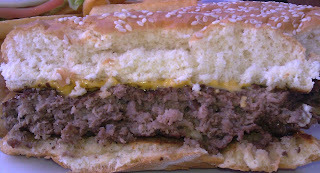 The American cheese slice was dwarfed by the large patty. Even though it was properly melted, the cheese simply did not register on the palate. 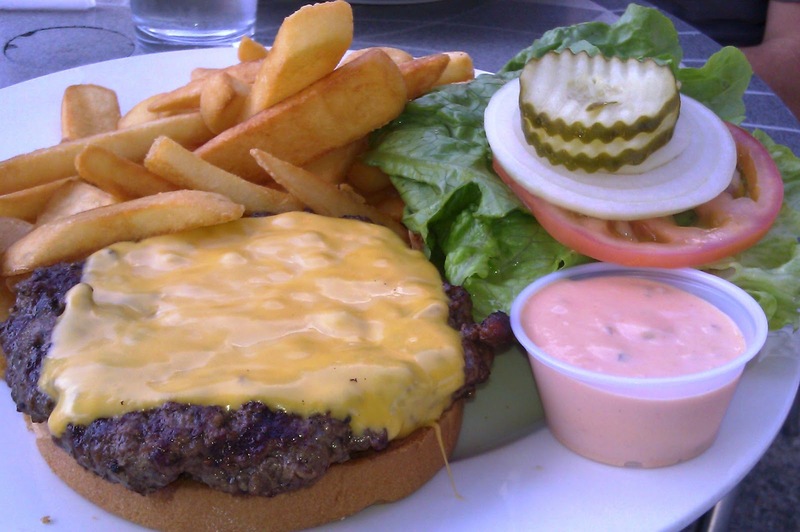 This cheeseburger required more cheese. The Bun: The bun was a standard, seeded, and properly toasted burger bun. The bun was crisped just enough to deliver a little crunch to the peripheral bites. The Meat To Bun Ratio: This was just fine. The Toppings: The Romaine lettuce was fresh and crisp. The tomato slice was a bit green, but that was better than being mealy. The Fries: The steak fries were thick, satisfying, crisp, and well-salted. The fries arrived at The Peppercorner peeled, par-cooked, frozen, and bagged. Still, they were just fine. The Value: The Peppercorner served up a big cheeseburger and a generous side of steak fries for $8.00. The value was good. The Peppercorner took perfectly average ingredients and got them to a place that was a little better than average. I wouldn't return to Long Beach to seek out this burger, but I wouldn't try to dissuade anyone from eating it. Burger Review : Fine, just fine.